Perusing the newspapers in London on Valentine’s Day weekend, I noticed two recommendations of wines I have written about in elizabethsvines. That certainly caught my attention. Hamish Anderson, a wine writer known for his work as wine buyer for the collection of Tate Museum sites in the UK, publishes his tasting notes in the Food and Drink section of the Telegraph Magazine. His three wine recommendations for Valentine’s Day included the Meyer Family 2014 Pinot Noir from the Okanagan Valley in British Columbia and Bollinger Rosé Brut. I like both these wines and have written about them in previous posts so I am pleased to read Mr Anderson’s comments. It’s amazing the gems one finds casually glancing through the weekend papers. Another stop along the way of special places is the Royal Academy in Piccadilly. The Chinese artist Ai Weiwei’s man-made forest installation in the forecourt creates a powerful image for me of fluid shape and colour, enhanced by a brilliant blue November sky. Walking along Pall Mall one morning I hear a band playing and drawn like a magnet to the sound, I find a small ceremony with a military band at the Yard entrance to St James’s Palace. Towards the end of that day, I head towards Berry Bros and Rudd, wine merchants in St James’s since the 17th century. Another favourite haunt, this time combining history and fine wine where I have enjoyed Berry’s Own Selection of wines and wine events. In general chit chat with the wine consultant, I ask about Canadian wine and Bergerac wine region offerings. The Canadian selections focus on ice wines from the Annapolis Valley in Nova Scotia including an ice cider. While I haven’t tasted this selection of Domaine de Grand Pré, Pomme d’Or, I have tasted other ice ciders and they are worth every sip of nectar: delicious. Nothing from the Okanagan Valley in British Columbia. The wine selection from the Bergerac Wine Region is limited to Chateau Thénac and no Monbazillac or Saussignac late harvest wines are listed. In reflecting upon these gaps in their wine list, I realize that these geographic areas of interest to me typically have small production volumes and that this can be a challenge for both wine producers and wine importers considering new markets. I am pleased to see that a Maratheftiko red wine from Zambartas Wineries in Cyprus is still offered together with a Commandaria. After all this exploring in London’s St. James’s area, a post-jet lag treat seems in order. What better than a glass of champagne. I enquire about the Bollinger selection, one of our favourites. A half bottle of Bollinger Rosé fits the bill. This champagne is dominated by Pinot Noir which is known to give body and structure. The Berry Bros and Rudd employee suggests it will go well with game in a wine and food pairing and I take note for future reference. We enjoy it solo, with a handful of home roasted nuts: characteristic tight bubbles, crisp and dry, subtle fruit nuance yet savoury, refreshing. A champagne that really stands on its own. As always, London calls, appealing to the senses. 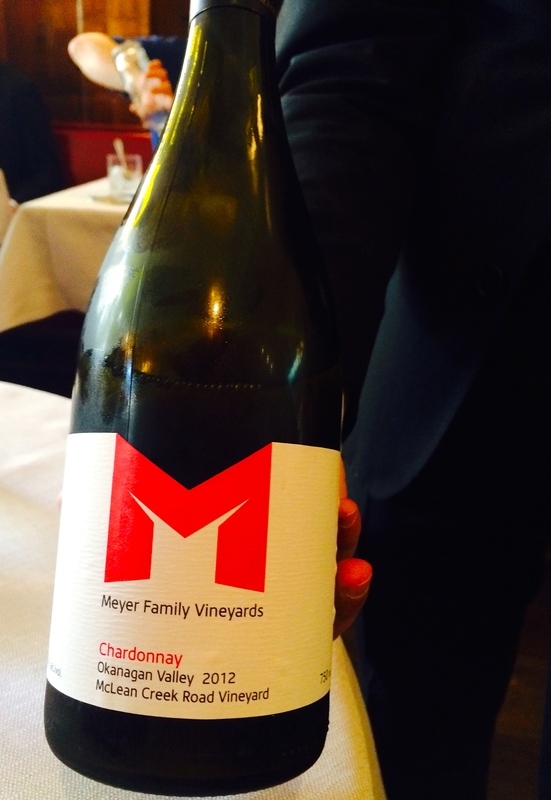 From Terroir to Table: Meyer Family Vineyards wine from Okanagan Falls, British Columbia to Mayfair, London in one leap. We arrive at the Wild Honey restaurant in Mayfair on Monday around 12.15 p.m. with no reservation. It’s a spur of the moment decision to come here for lunch. This restaurant has been on our list for some time and suddenly the opportunity presents itself. And here we are. We open the door, walk through the semi-circular red curtained area between the outer door and the restaurant, which protects the clientele from winter drafts, and step inside. One look within the comfortable, well appointed restaurant with paneled walls resounding with lively lunchtime chat and I know we made the right decision to come here. Immediately, we are ushered to a round table from which we can people watch in comfort. A favourite pastime. Through the window overlooking the street, we can see the elegance of the Corinthian columns of St. George’s Church, Hanover Square opposite. This church, built between 1721 – 1725 was a favourite of the composer and musician, Georg Friedrich Händel, (1685 – 1759) where he was a frequent worshipper in the 18th century. The church is now home to the Annual Händel Festival. To digress for a minute, I am struck by the coincidence of being close to “Händel”s church” as the waiter described it and the other morning hearing one of his four Coronation Anthems, ‘Let thy hand be strengthened’ which Händel was commissioned to write for the coronation of George II of England and Queen Caroline in 1727. The anthem was performed the other day in the context of Accession Day, February 6, which this year celebrates the Queen’s 63rd year on the throne. Back to our lunch at Wild Honey restaurant and the choice of wine. The wine waiter approaches and asks us what we would like to drink. 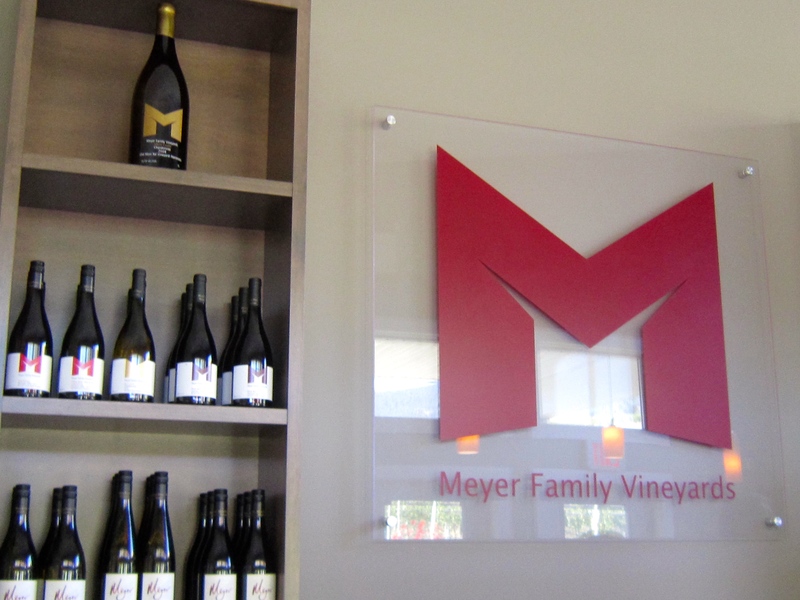 We look at the wine list and order two glasses of Meyer Family Vineyards 2012 McLean Creek Road Chardonnay (which was offered by the glass when we visited. It is now available by the bottle). “ Oh! You will enjoy this Canadian wine”, he says. This revelation is met with great interest. The Chardonnay does not disappoint and we enjoy this with our selection from the working lunch menu: Amuse-bouche of mushroom purée on a small pastry round; Radicchio salad with orange slices and pomegranate seeds; grilled monk fish with small roasted beetroots and parsnips, followed by Wild Honey ice cream (home made) with crunchy honeycomb and pistachio pieces, coffee and petits fours. As a wine pairing choice, the Chardonnay is successful. We take our time to savour the different courses, flavours and combinations of this working lunch menu, which are served with great attention to detail and courtesy. 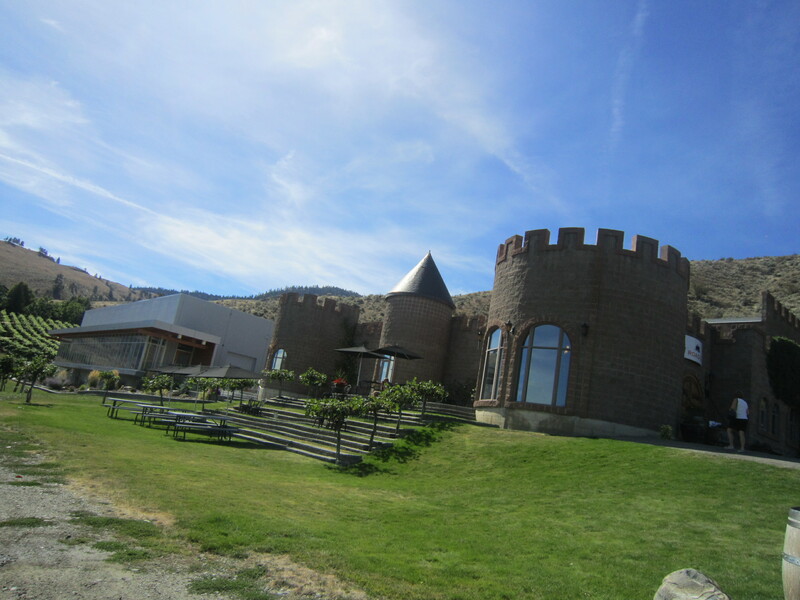 While enjoying this lunchtime experience, we take a mental leap back to our visit to the Meyer Family Vineyard in Okanagan Falls, British Columbia. It’s September and our second visit to the Meyer Family Vineyards where we meet JAK Meyer, Co-Proprietor. JAK tells us their focus is on traditional French burgundy style wine with small case lots of Chardonnay and Pinot Noir. 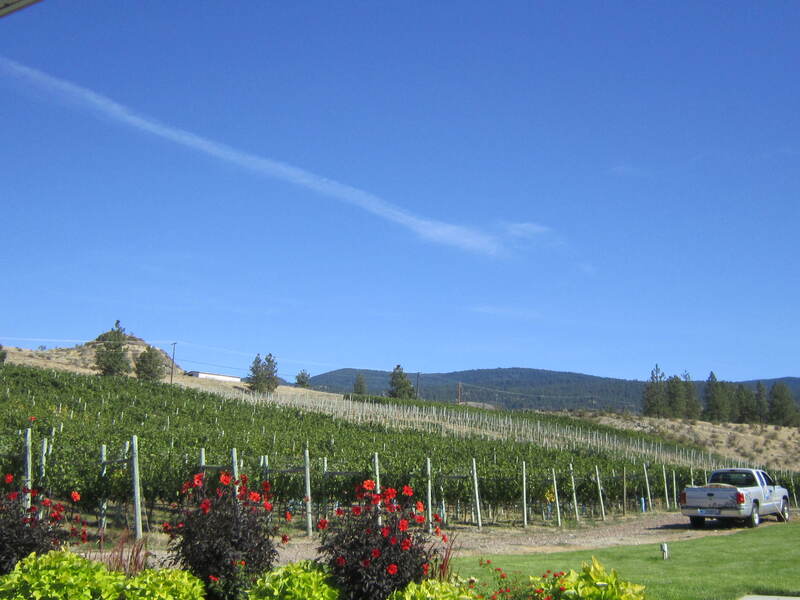 We taste five wines: the 2012 Okanagan Valley Chardonnay, 2012 McLean Creek Road Chardonnay, the 2012 Tribute Series Chardonnay, the 2012 Reimer Vineyard Pinot Noir and 2012 McLean Creek Pinot Noir. I enjoy them all in different ways. My notes from the visit indicate that I am impressed by the 2012 McLean Creek Road Chardonnay with its smooth citrus with a touch of melon flavours; a very accessible wine. This Double Gold and Best in Class winner at the Great Northwestern Invitational Wine Competition and Silver Medal winner, National Wine Awards of Canada wine is what we are enjoying at Wild Honey. 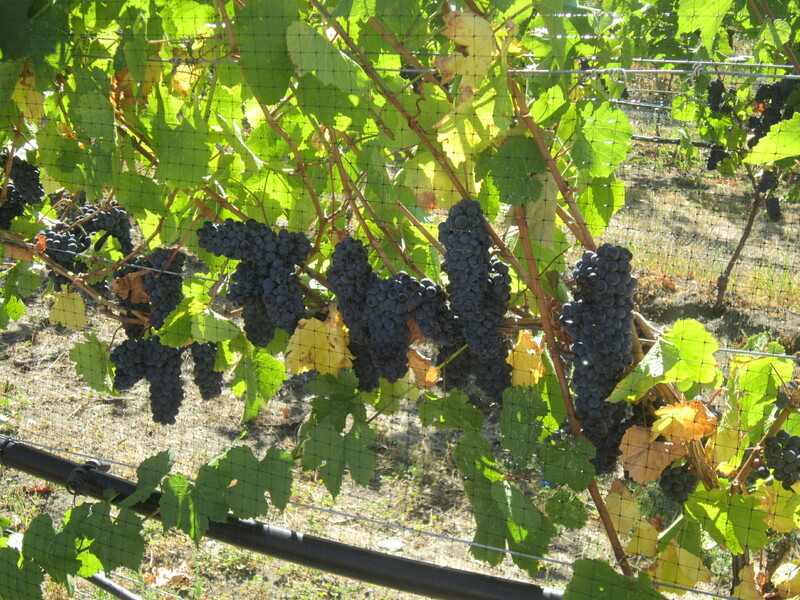 Chris Carson, the Winemaker/Viticulturist at Meyer Family Vineyards writes interesting and informative notes on each wine, its vintage, as well as descriptions of the terroir and winemaking process. He also suggests wine pairing ideas and we are on track with the Chardonnay and monkfish. The notes are worth reviewing. I appreciate this attention to detail, which seems to represent the Meyer Family approach to winemaking. We chat with JAK Meyer about the lack of Canadian wines in the UK and he mentions that Meyer Family Vineyards wine is represented in London and their wines are starting to appear in different London restaurants. This is how we first hear about Wild Honey, the restaurant that opened in 2007 and was awarded a Michelin star in its first year of operation. As we finish our coffee and think about heading out into the February afternoon, I reflect on how we are experiencing time and space. It feels like the present, past and perhaps future converge as we enjoy this wine from British Columbia in this historic area of London in the shadow of Hãndel and his music. 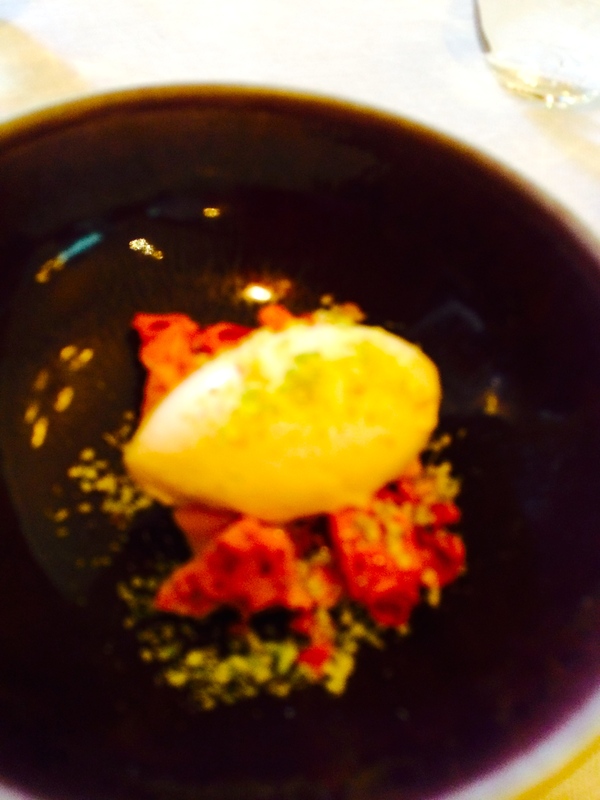 Following a wine from terroir to table certainly opens the door to new experiences. Georg Friedrich Handel and the Coronation Anthems including ‘Let thy hand be strengthened’. Search for Handel Coronation Anthems for several You Tube video recordings.